That is the most adorable photo that I have ever seen of the PoW! Hi, this is just about a little observation I've made but why aren't there any royals with pet cats? It's just that I'm a cat person and I'd just like to know why is it that any time I see a royal with a pet it's always a dog. Are cats just not popular or something? Why aren't there any cats? I have been wondering the same thing!! I am so happy you asked. I am definitely a cat person. I also really like cats and it's a reality that royalty never shows up with cats but rather with dogs. I wonder why? Maybe they don't like cats. 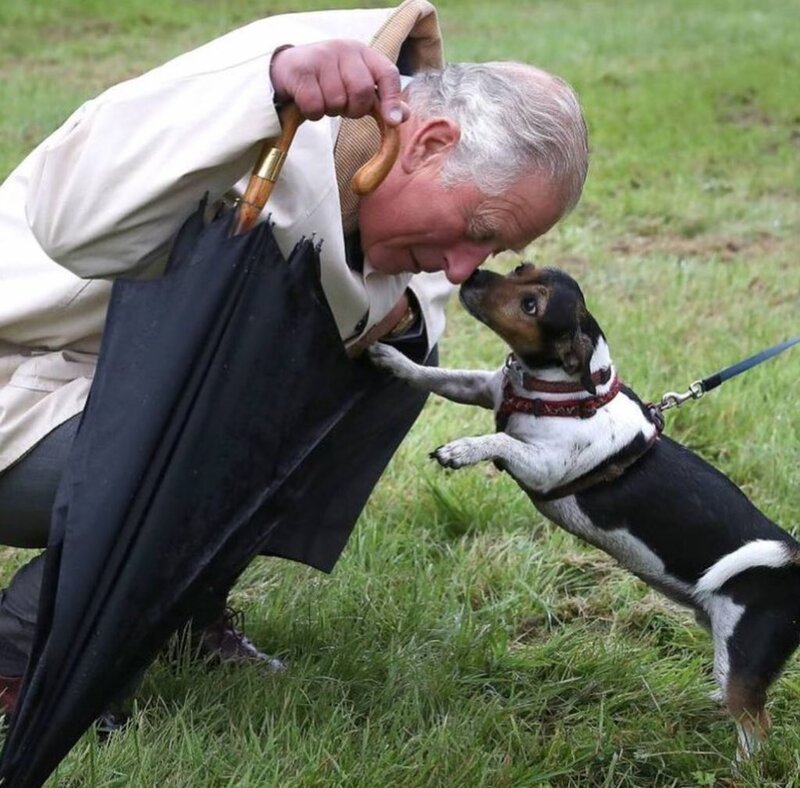 My guess is that the tendency towards dogs comes from the popularity of hunting among royals. I thought Princess Michael of Kent had a Burmese cat called Ruby. Given that the Queen swaps houses a bit, perhaps the portability of a dog is a consideration when royals are choosing a pet. When dogs are everywhere then cats often feel less at ease. If there were cats they would not be seen being walked by their royal owner like a dog is seen out in public. We would never know. Cats kill native birds so that could be a turn off in homes with lovely gardens. But dogs are a turn off in homes with lovely carpets. Think of a cat, any cat, that would deign to allow you to cart it around so RR's could take photos. Most royalas travel a lot and change residences. Cats are territorial and it is stressful for cats to travel. I also can't imagine playful felines frolicking amongst priceless antiques and fabrics of royal residences. Originally Posted by Rena M.